Nangaringa Major (P) joins the Stud Sire team at Riverslea. Boasting an ADG of 1.16, 42cm scrotal, 124 EMA. This big dark 22 month old poll bull has complete outside genetics for us. 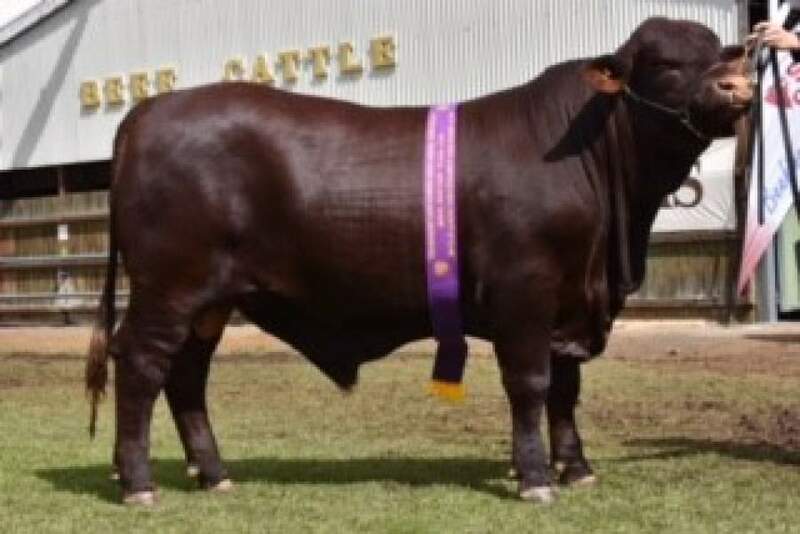 He was runner up at Adelaide Royal to the outstanding Yarrawonga bull who took out Champion interbreed at both EKKA & Adelaide Royals. Major will break the long trip to Riverslea from South Australia with a stop over at Sydney Royal.